Do Dental Implants Resist Staining? If you have missing teeth, dental implants can give you a new smile that looks and feels natural. 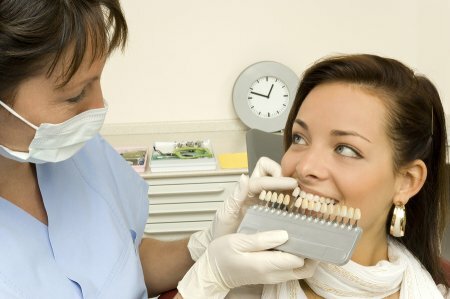 Although it’s necessary to maintain a good oral hygiene routine when you have dental implants, there is no risk of them becoming decayed, as natural teeth can, but can staining occur? Generally, tooth staining is not a problem with dental implants, as the glazed finish protects them. This finish can be damaged, however, and when this occurs, implants can become stained. Staining can also happen along the gum line under implants. To protect the finish on your implants, don’t use toothpaste with high levels of baking soda and silica, as they can wear away the surface. If you’re concerned about staining, you can also reduce your intake of foods and drinks that stain natural teeth, including coffee, tea, red wine, and berries. Glenwood Premier Dental is a leader in implant dentistry in Hazlet , and our dentists will ensure that your implants stay healthy and look great for life. To make an appointment, please call (732) 264-4477.